One secondary school in Sangre Grande was affected by recent water shortages to the point where it was necessary to reschedule end-of-term exams. 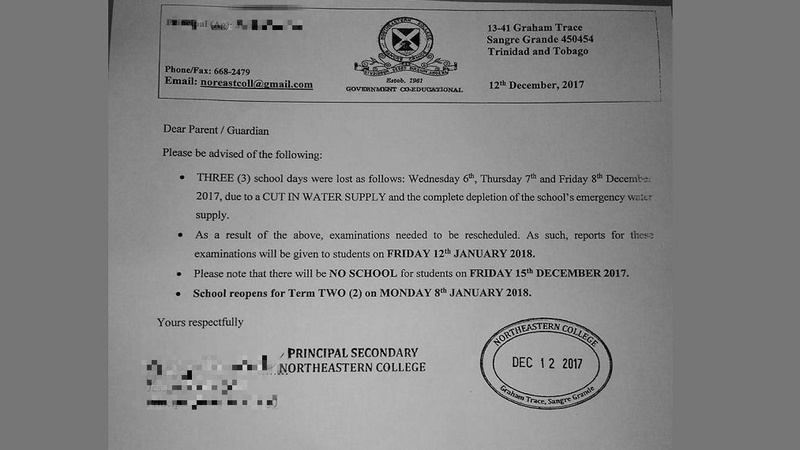 A letter was allegedly sent to students of North Eastern College in Sangre Grande, advising of the need to reschedule the exams after the school was forced to close for three days last week due to a lack of water. As a result, students will not receive their reports for this semester until next year. 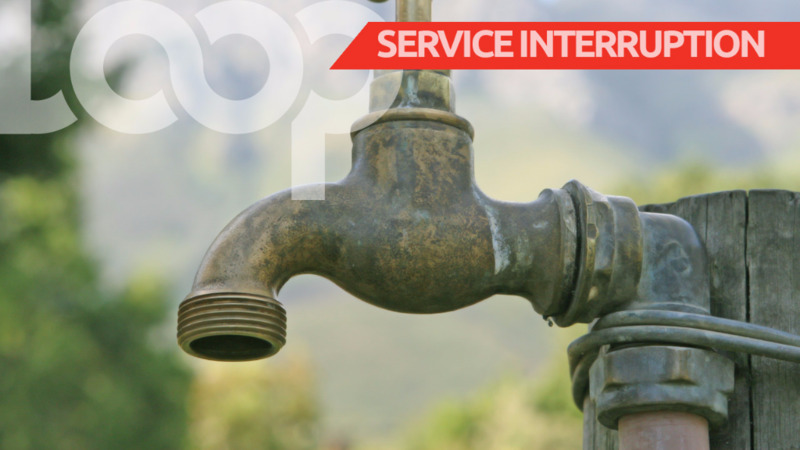 Last Wednesday, WASA reported that several areas in parts of North-East Trinidad were without water due to a ruptured 42” diameter transmission main in the vicinity of Daniel Trace Valencia, however this was repaired on Thursday. However, another issue was reported on December 9, due to another leak on a 42” diameter transmission main from the North Oropouche Water Treatment Plant. Emergency crews worked to repair the leak, and water was restored by Monday, December 11, 2017. However another leak has since developed, and emergency crews are yet again carrying out repairs. 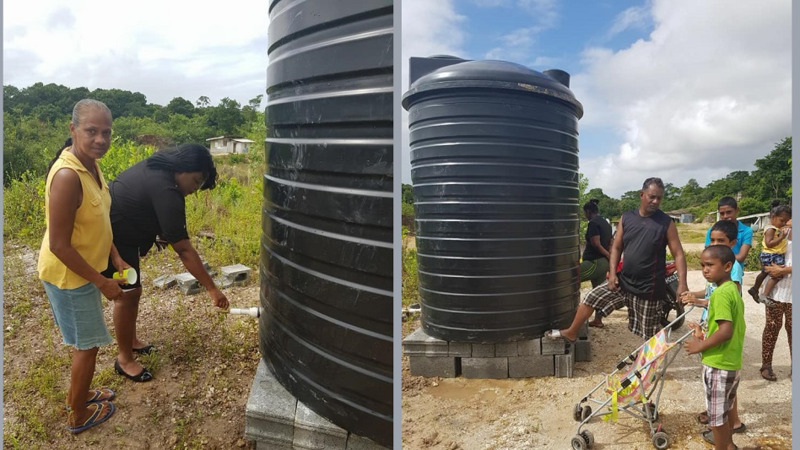 Sangre Grande residents expressed frustration online with the extended water shortages, especially in the run-up to Christmas. "I wonder what the hell is the problem now and how long do we have to wait this time?" "42” main bust again! Merry Christmas from WASA." "What the a** is this so I ant go see water tell next year the way this going." "Like they use chewing gum to fix it." "We grande people to quiet and humble... Roads terrible, water issues, and electricity issues... All year long... And doh say we in recession, cuz I see highway building in Cumuto, so then it have some money... We need to come together and let our voices be heard...they wanna tell us protesting is illegal, but these conditions are also illegal to us... Paying bills for poor services, and fixing cars to mash back up... There are people in this group here that knows people who can help all the situations... But they ain't wanna help... They like how it going... Well I for sure... Fed up." 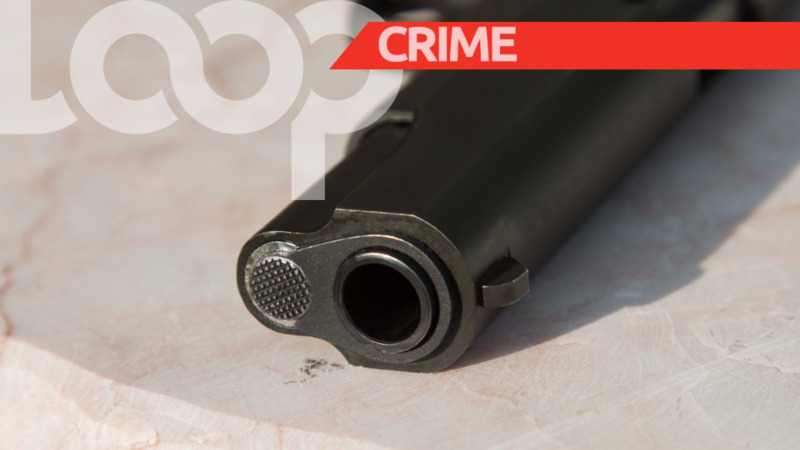 The company said it will be updating the public on the matter later today.